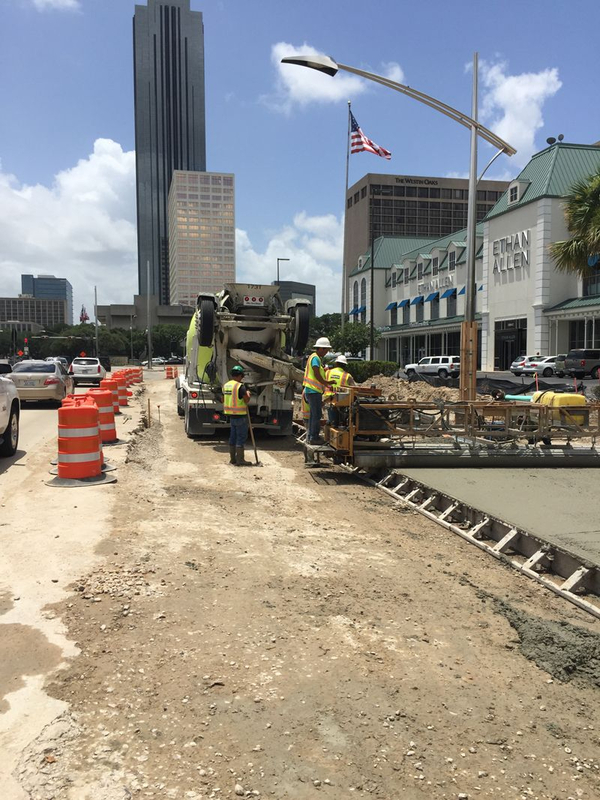 Uptown Development Authority Project | Reytec Construction Resources, Inc.
Post Oak Boulevard Reconstruction – Middle Package: This construction included the removal of existing asphalt paving and curb for approximately 1,000 linear feet and the placement of 10-inch thick, 5-lane concrete boulevard section with 9-inch crushed subgrade. 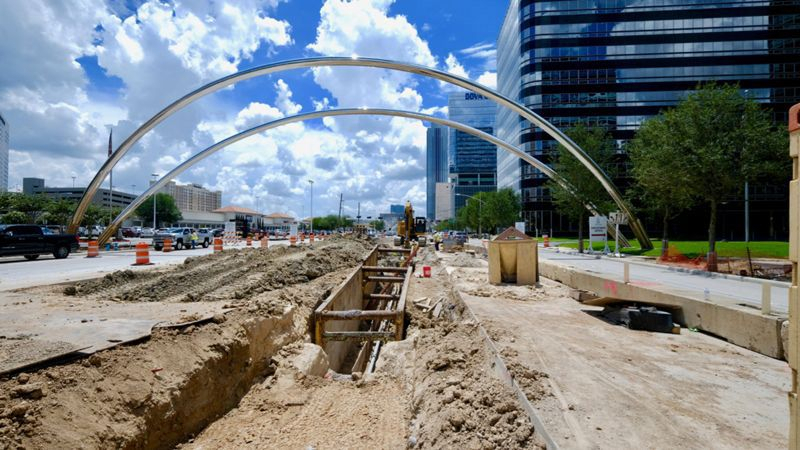 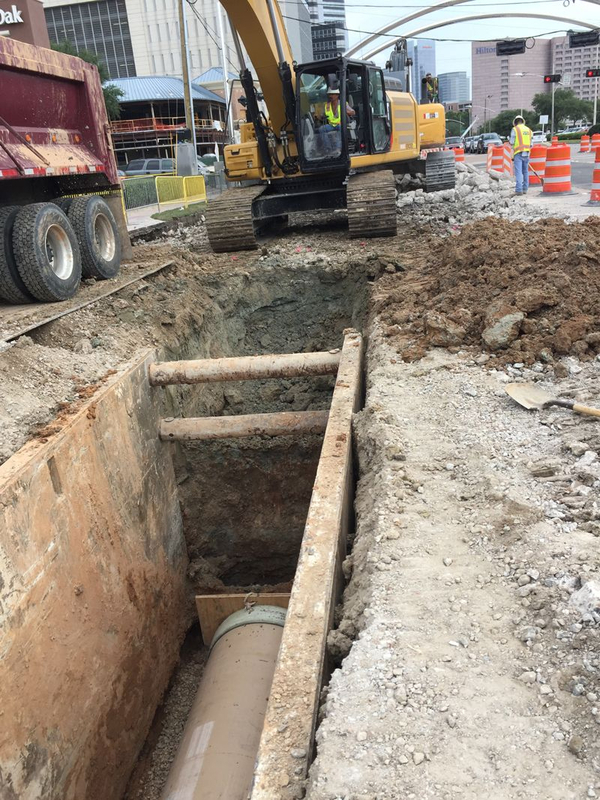 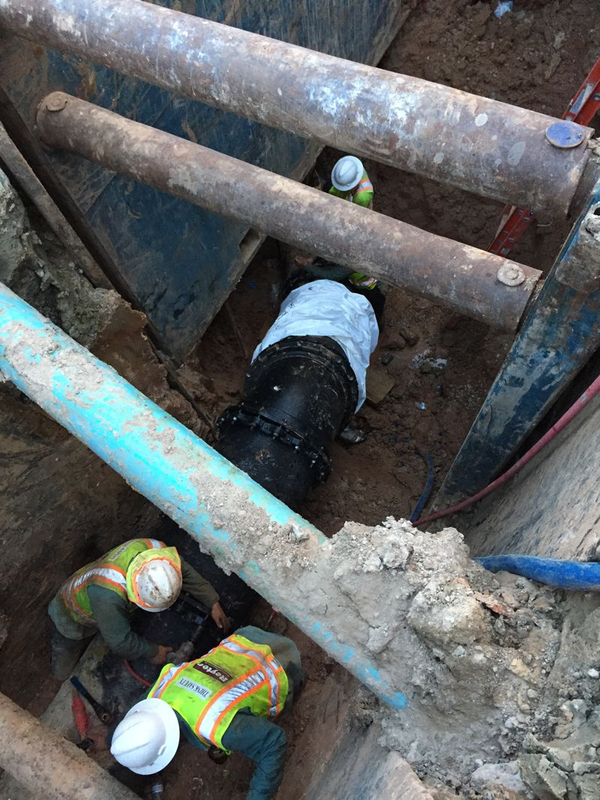 The work included the installation of a concrete storm sewer, ranging in size from 24-inch to 30-inch, installation of a 12-inch waterline and installation of a 12-inch sanitary sewer line. 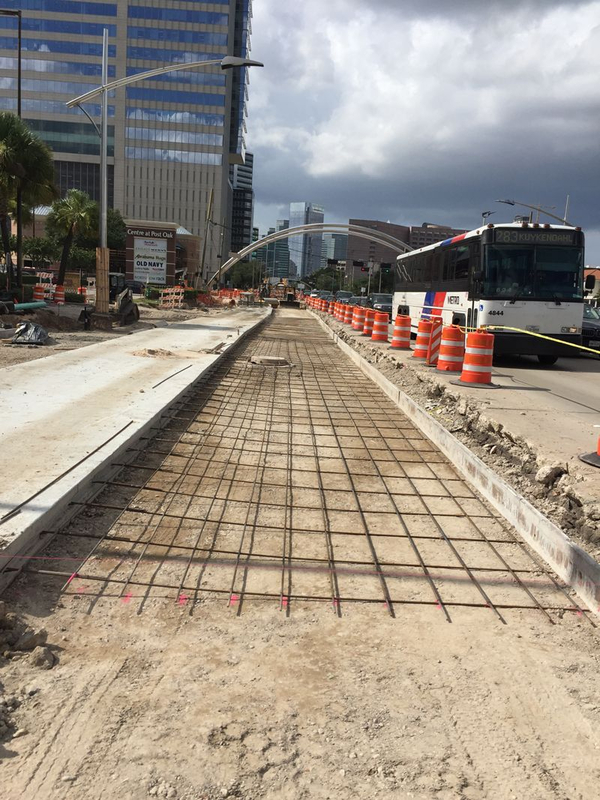 We also added 2 dedicated, rapid bus transit lanes. 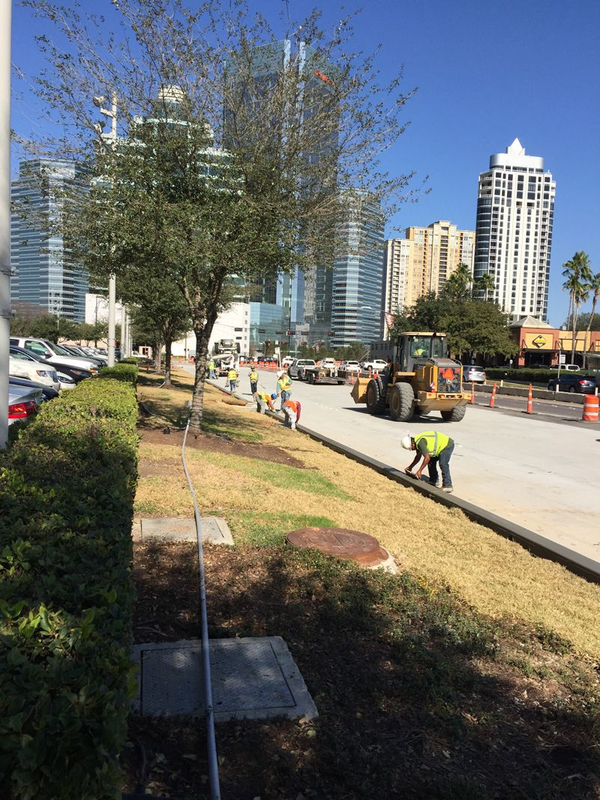 Reytec also installed Uptown sidewalks, Uptown Corner Plazas, pedestrian lights, granite bollards, landscaping and irrigation. 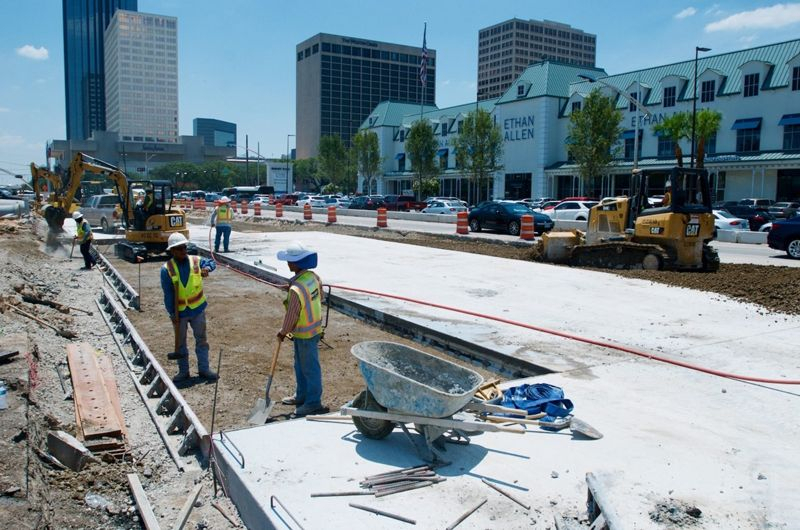 This included concrete paving and subgrade repair as directed by the Resident Engineer and by Uptown Development Authority, removal and replacement of existing curb, inlet modifications, removal and replacement of existing driveways, modifications to existing medians, installation of left turn lanes, additional traffic signal modifications, paint striping, landscaping and irrigation. 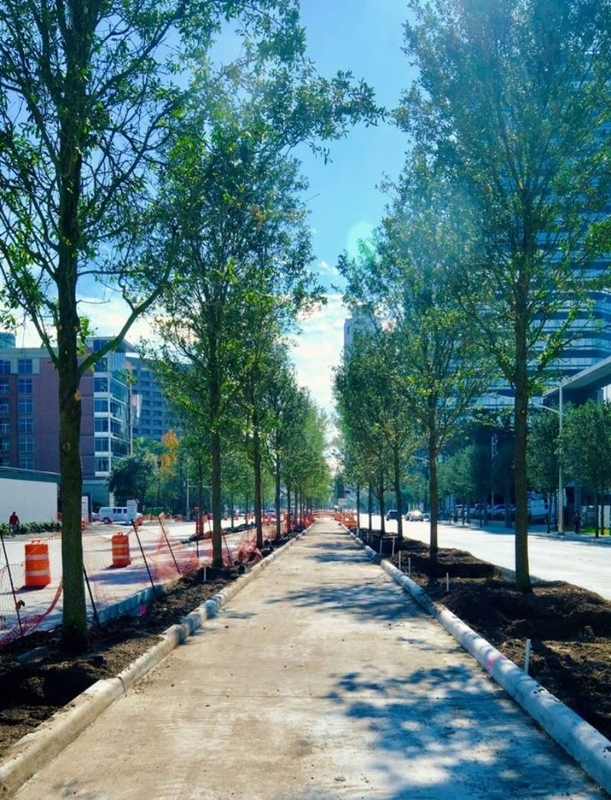 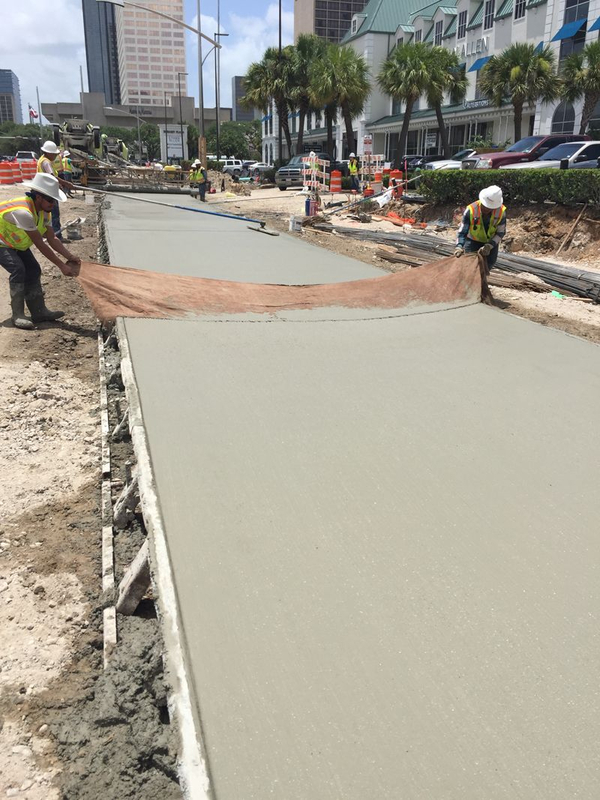 This included the removal of existing concrete sidewalk and wheelchair ramps as well as the installation of Uptown Concrete sidewalks, Uptown Corner Plazas, pedestrian lighting, granite bollard, landscaping and irrigation.